Kia on Tuesday announced plans to update some of its fleet with Apple CarPlay and Android Auto, marking a rare instance in which older vehicles will get access to the phone link technology. Cars must be equipped with an AVN 4.0 navigation system, or the UVO3 dash interface, Kia said. By the end of July, owners will be directed to myuvo.com to check eligibility and get detailed instructions on the upgrade process. 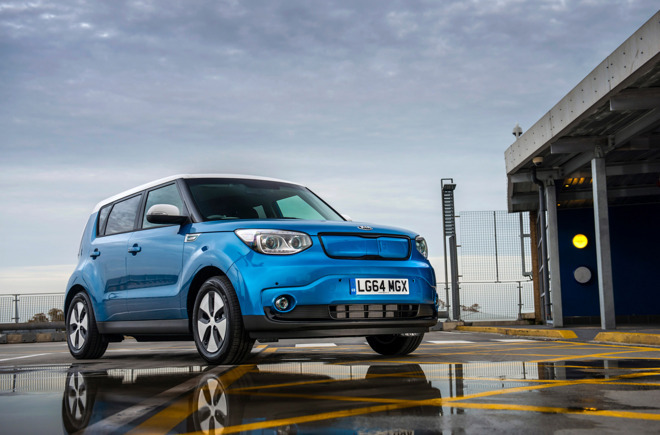 The mention of the 2014 Soul is particularly notable, since few vehicles that old have access to CarPlay. Native support for the platform didn't expand significantly until the middle of last year, and upgrade options have been rare, often reserved for model years from 2015 onward unless a person pays for an aftermarket receiver. Kia otherwise offers CarPlay on the 2017 Cadenza and the 2017 Forte5. Apple is planning a number of CarPlay upgrades for this fall's iOS 10, such as a revamped Apple Music app, and the ability to rearrange apps or remove them from the homescreen. A "Parked Car" feature will automatically mark a car's location when an iPhone is disconnected from Bluetooth or CarPlay, making it easier to find in Maps.